Laura L. Frye is known for her watercolors that preserve objects and landscapes in antiquity. Born in the mountains of West Virginia, Laura grew up surrounded by the rural farming life often depicted in her work. Laura now resides in Washington, North Carolina where her studio overlooks the Pamlico River. Her subject matter now includes beach scenes and shore birds. 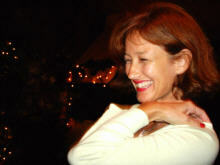 Laura has a degree in Commercial Design Graphics from Fairmont State College, and has been a producing artist since 1992. Frye is a member of the North Carolina Watercolor Society. Her work has been in juried shows throughout the east coast and can be found in many private collections. In addition to her original watercolors, she has a series of five limited edition prints available.